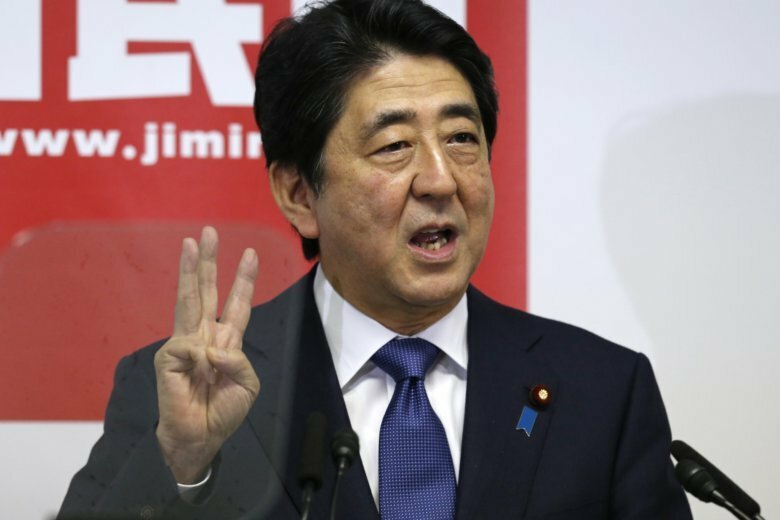 Abe’s third term: A chance for constitutional change? Abe will be re-elected prime minister when parliament — where the ruling coalition holds two-thirds majorities — reconvenes, likely in late October. He will need to form a strong government to keep those majorities in elections next summer. Abe enjoys public approval ratings of about 40 percent, high for a leader who has been in office nearly six years. He has solid support from conservatives who back his right-wing agenda. Helped by an economic recovery, he has won repeated national election victories in the absence of a viable opposition. Abe takes credit for an “Abenomics” program that has employed a super-easy monetary policy to lift Japan’s economy from years of deflation and boost job and stock indicators. Critics say the effects are gradually wearing off and benefits have not trickled down to consumers. He has expanded the international role of Japan’s military by reinterpreting the war-renouncing constitution to allow troops to defend allies under attack. While maintaining a close alliance with the United States, he has bolstered military cooperation and weapons development with Britain, Australia, France, India and some other Asian countries in response to China’s military activity in the region and North Korea’s nuclear and missile threat.